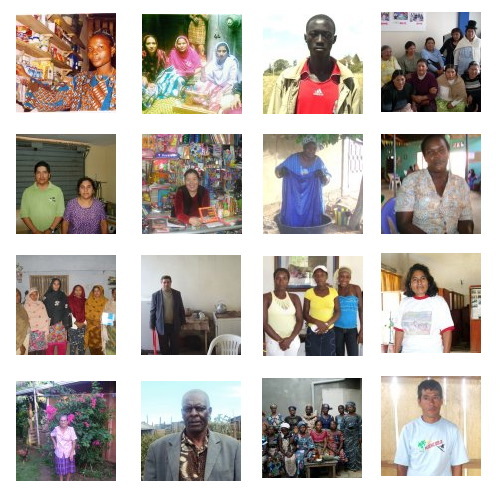 I love doing my own micro loans through KIVA. These are 'crowd sourced' loans. I get to use my own funds and make my own decisions based on my own criteria about who I lend to. I make small loans that are aggregated by Kiva into larger loans that can make a real difference in the lives of the entrepreneurs who need this support. It's my firm belief we will soon be able to crowd source small investments into startup companies across the U.S.
Kiva makes this effort easy, internationally. Their reporting is not only transparent but inspiring. I am not loaning out our family food money. I am loaning small bits of discretionary funds I can sock away between paychecks or as gift contributions from friends. My loans through Kiva are typically just $25 or $50 each. However, in concert with others, these small loans are aggregated into full loans that can make a difference. At the end of 2011 here is the list of entrepreneurs worldwide my small contributions have helped fund. Kiva has just opened up funds for lending to folks in the United States through this model, focusing first on Detroit and New Orleans. Can't wait to start working in these great cities as well. Mr. Allahverdy Kuliyev. Azerbaijan. 100% repaid. Ms. Chantal Dolou. Togo. 100% repaid. (group) Srey Touch Nuon Group. Cambodia. 100% repaid. (group) Canal De Bendicion 6 Group. Dominican Republic. 100% repaid. (group) Karukara Women's B, Kihihi. Uganda. 100% repaid. (group) Estrellas De Belen. Mexico. 100% repaid. Ms. Mariam Ndagire . Uganda. 100% repaid. (group) Saima Amir Masih's. Pakistan. Paying back. Mr. Philip Gitundu Karanja. Kenya. Paying back. Ms. Nancy. Peru. Paying back. Ms. Bah Oumou Sangaré. Mali. Paying back. Mr. Amador. Peru. Paying back. Bushra's Group. Pakistan. Paying back. Mr. Baktiyar. Kyrgyzstan. Paying back. Ms. Irene Segunda Josefa Barrantes Novoa. Costa Rica. Paying back. Ms. Battsetseg Dorjsuren. Mongolia. Paying back. Mr. Timothy Koileken. Kenya. Paying back. (group) Confianza Group. Bolivia. Paying back. (group) Ayidote Group. Benin. Newly funded, December 2011. Congratulations! This is the best way I know to support global entrepreneurship through micro loans we can do on our own. Thank you Kiva! Nice photos. It's really good news to have loan, especially when you can fully pay something. The only problem though, is paying back the company. Every organization is filled with people with diverse personalities. Good move! I'm glad you found an effective way to finance your business. The key to borrowing, as according to our loan modification lawyer, is to maintain balance between your monthly / annual income and bills. Do not sign up for loans, which you are not sure if you can pay.